Introducing our “Remove a Tree -> Plant a Tree” Program. In our continued effort to Go Green, we have introduced a program that provides the service of planning a tree when you have a tree removed on your property. Ask us about the details by calling us today at (302)227-1980. Sussex Tree has spent over 30 years developing a family owned business where the pride of owner shines through in every way. We are dedicated to providing our clients with the most excellent service and strive to be the best in our line of work daily. As a part of achieving this, we are proud to announce our dedication to go beyond giving back to just the local community, but do our part to make the world a greener place with our “Green Initiative”. Our goal is simple, we are committing today and into the future to do what we can to minimize our environmental footprint by introducing battery power to as many tools in our arsenal as possible. In the last few years, Sussex Tree has invested heavily into updating most of our equipment which is not only state of the art, but very fuel effiencent. Our biggest Green Initiative investment is in our small equipment. Currently, 20% of our small equipment is now battery powered and we are committed to growing this number into the future. Our hybrid system of gas powered large equipment (cranes, stump grinders, tree spades, etc.) and our battery powered small equipment (chainsaws, pole saws, etc.) is allowing us to minimize our fuel and emissions dramatically. “Going green” is learning about and putting into practice ways that are more environmentally friendly and ecologically responsible. Going green has so many benefits! It can reduce waste, conserve natural resources, improve water and air quality, and protects our ecosystem. And who wouldn’t want to protect our planet?! At Sussex Tree, some of our services include tree removal, tree pruning, diagnosis and treatment of trees, and treat insect damage to your trees. By properly managing your landscape plants, we will help improve the beauty, safety, and value of your property, and we want to be green while doing so! Are you wondering what are some ways you can go green and help the environment? 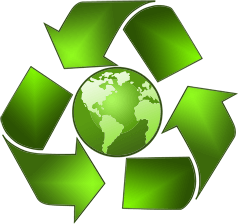 A few things you can do include saving energy (adjusting your thermostat, unplugging appliances) , saving water (shorter showers, faucet aerators, low-flow showerheads), using less fuel (walk or bike more), swapping bottled water out with reusable water bottles (reduces container waste), and recycling electronics. We are so excited to begin our efforts to go green and hope that you will take steps to live a more green life as well. Going green can be beneficial for the environment, can lead to savings, and is good for your health! Let’s work together to make the world a better place one green step at a time.